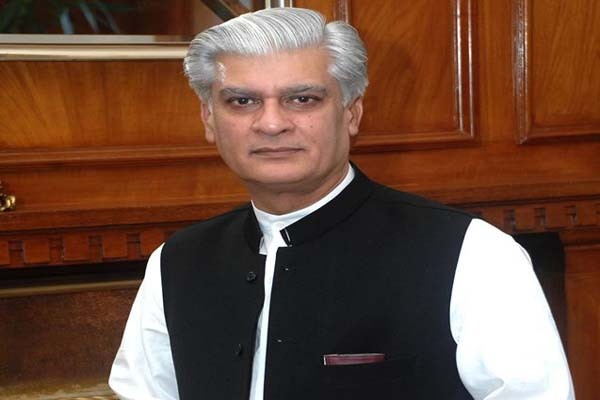 ISLAMABAD, July 24 (APP): Special Assistant to Prime Minister on Political Affairs Dr Asif Kirmani Sunday said people of Kashmir voted for the vision of Prime Minister Muhammad Nawaz Sharif and sent a message in Azad Kashmir, Occupied Kashmir and Pakistan that they reposed trust in the leadership of Muhammed Nawaz Sharif. Khosa had taken notice of the corruption and mismanagement of Abdul Majeed government, PPP would not have suffered such a heavy defeat in Azad Kashmir elections. He said Pakistan Muslim League Nawaz (PML-N) was facing danger of rigging in elections as Pakistan Peoples Party (PPP) had its prime minister and government in Kashmir. He said “I will say to Mr Khosa that they should focus on their performance and take Abdul Majeed to task as because of him PPP faced such days”. He pointed out that the leadership of Azad Jummu and Kashmir (AJK) PPP had held the corruption and embezzlement of Abdul Majeed, responsible for defeat of the party. He congratulated Pakistan army and AJK election commission for holding free and fair elections in Kashmir. He said Chaudhry Nisar was an old and trust worthy associate of Prime Minister and Latif Khosa tried to damage Pakistan by giving a very irresponsible statement.